This color image from NASA's Curiosity rover shows part of the wall of Gale Crater, the location on Mars where the rover landed on Aug. 5, 2012 PDT (Aug. 6, 2012 EDT). 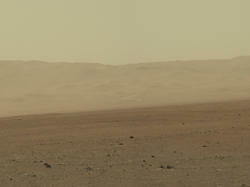 This is part of a larger, high-resolution color mosaic made from images obtained by Curiosity's Mast Camera. This image of the crater wall is north of the landing site, or behind the rover. Here, a network of valleys believed to have formed by water erosion enters Gale Crater from the outside. This is the first view scientists have had of a fluvial system - one relating to a river or stream -- from the surface of Mars. Known and studied since the 1970s beginning with NASA's Viking missions, such networks date from a period in Martian history when water flowed freely across the surface. The main channel deposit seen here resembles a dirt road ascending into the mountains, which are actually the north wall and rim of Gale Crater. 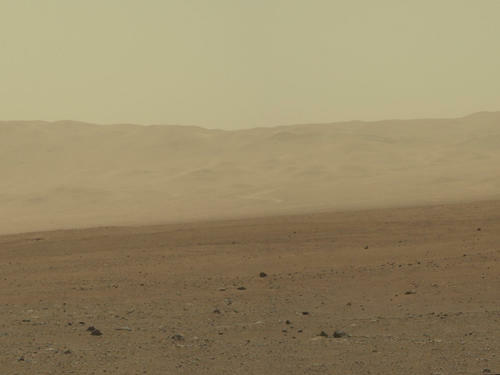 Although Curiosity is about 11 miles (18 kilometers) away from this area and the view is obscured somewhat by dust and haze, the image provides new insights into the style of sediment transport within this system. 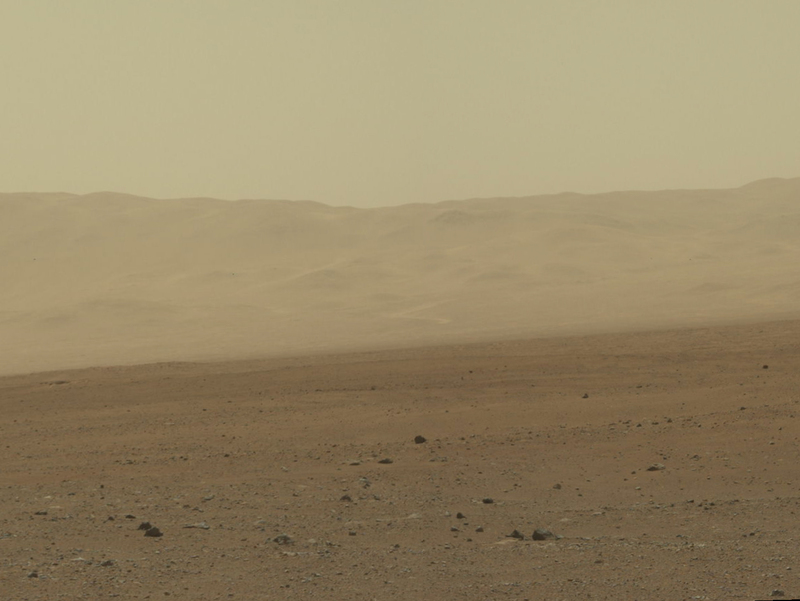 Curiosity has no current plans to visit this valley system, since the primary objective of the rover is south of the landing site. But images taken later and with the 100-millimeter Mastcam are likely to allow scientists to study the area in significantly more detail.